Are you ennui of switching inputs from watching Television to playing games on consoles,then jumping to listening your favorite tunes. Well !! this can be so boredom and Microsoft knows that. Microsoft has design a new gaming console for diehard gamers-Xbox One. Tech Giant “Microsoft” is planning to hit the market with its new video gaming console in coming November 2013, which will certainly embellish your gaming experience.With Xbox One, you can quickly jump from TV to movies to music to a game. Just with the sound of your voice.It is not wrong if we called this masterpiece a”all-in-one home entertainment system” with Television, games & social media entertainment all combine in one unit. Xbox One is using an AMD CPU and AMD graphics hardware, just like Sony’s PS4. Integration of new Kinect can activate the Xbox One console by voice. It will have a 1080p camera compared to the VGA camera on the original Kinect. The new motion controller would process 2 gigabits of data per second to accurately read its environment. The Xbox One Kinect is designed to accommodate smaller environments than the Xbox 360 Kinect.New Kinect is more responsive and intuitive in nature. 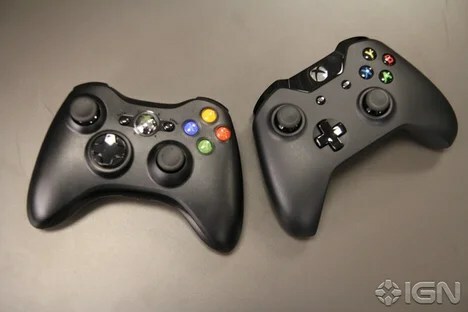 Xbox One controllers-At a glance, Xbox one controllers looks same as that of Xbox 360, but slightly altered design , to give edgy & sleek look to new controllers. You did not require an Internet connection at all times , but the system will require internet connection to connect to Microsoft server once every 24 hours. This check is required as to keep informing user about latest updates. System configuration includes 8 gigs of RAM, 8-core CPU and GPU SoC, and a substantial 500GB HDD. There will be a Blu-ray drive as well as USB 3.0 and integrated 802.11n Wi-Fi. Skype support for Video Calling. Live Television broadcasting from your cable or set top box. You can browse apps from windows store. Xbox one has the ability to offload some game computations off of your device and into a processor in the cloud. You can expect Xbox one to become better with this Cloud Computing feature. So are you ready to engage yourself with lifelike character. Tell us how you feel about this Gaming console from Microsoft. Keep looking at this space for more ! !